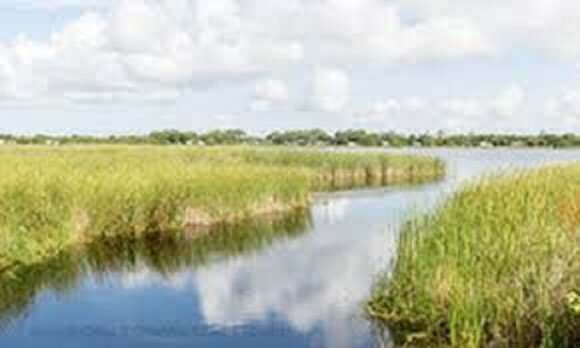 Wade Ward Nature Park is a public pedestrian access to a pocket of natural wetlands and waterways found in Gulf Shores. From a comfortably dry, elevated boardwalk, you may enjoy beautiful views of the wetlands that connect Little Lagoon and Lake Shelby. Wildlife such otters, pelicans, and the occasional alligator can be seen hunting and fishing in its shallow water and wetlands. It is also one of the Alabama Coastal Birding Trail sites, a great place to look out for migrating and local birds.